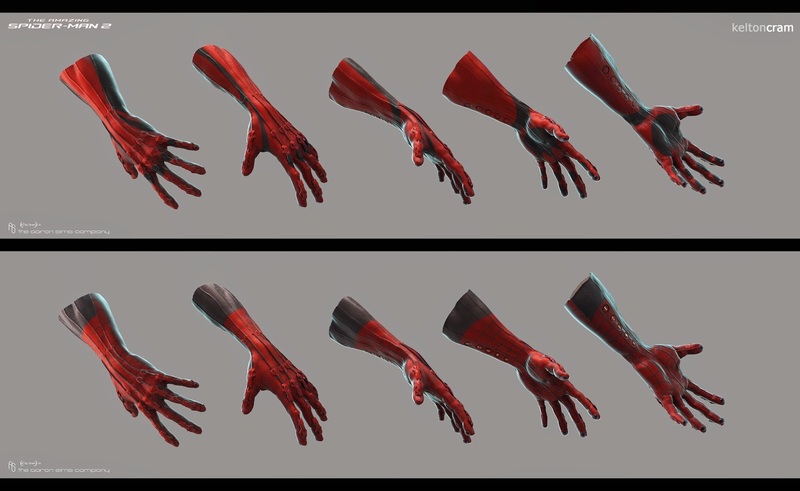 Conceptual illustrator, Kelton Cram ("The Wolverine"), has sent us exclusive concept art featuring alternate designs of Spidey's costume for Marc Webb's The Amazing Spider-Man 2. 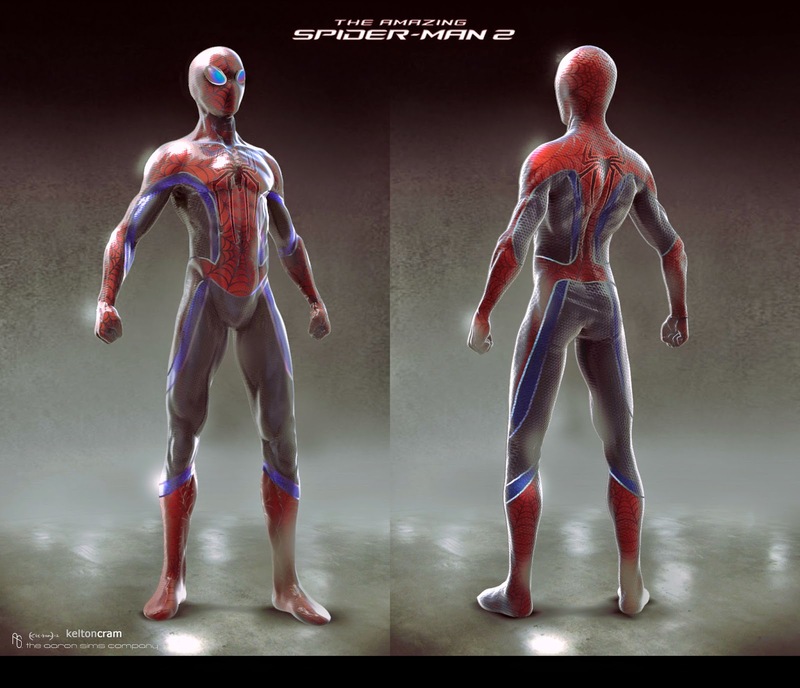 CBM: When designing costumes for a film like this, do you think about the actor's comfort? Kelton Cram: Yes, the suit needs to bend in the right places. However, at this stage it's mostly about the idea. 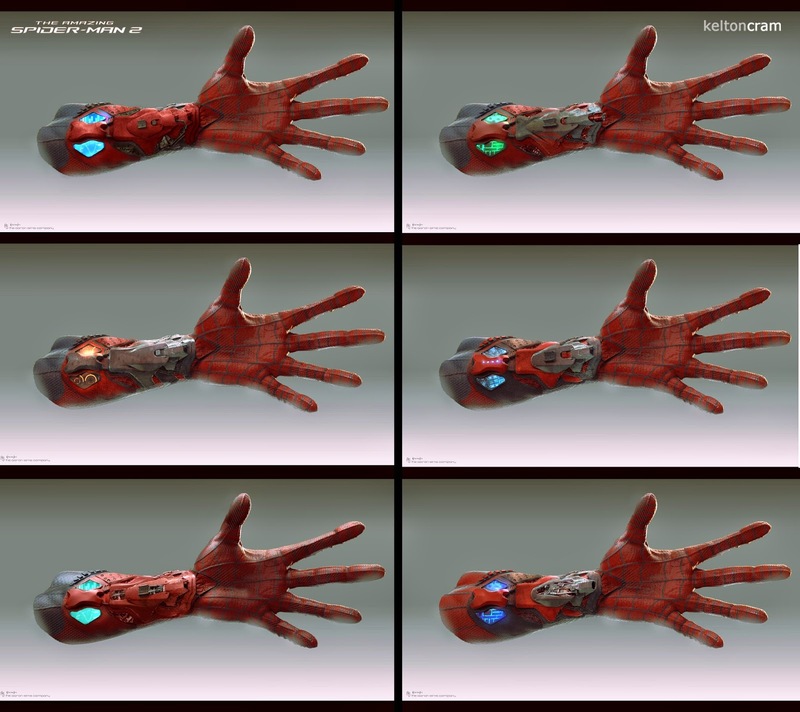 Once the suit is approved, the real work starts - fitting to the actor's body. 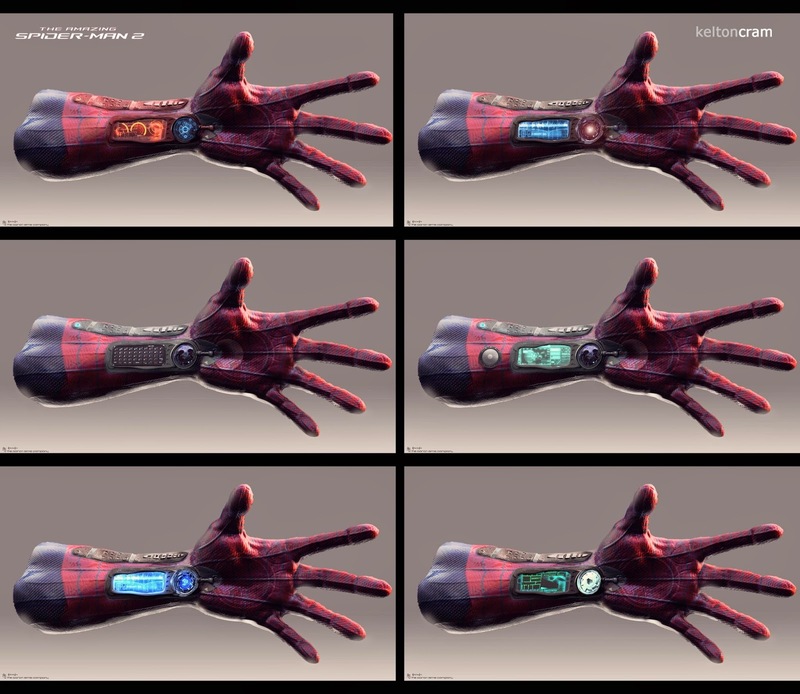 CBM: For the web shooters, is it design over function? Kelton Cram: Yes, exactly. They wanted to see ideas that could be technically 'clunky' in real life. Usually it's function first. CBM: For a young artist that wants to become a concept artist, like yourself, what programs would you encourage them to master? Kelton Cram: I strongly feel it is essential to master Photoshop and Zbrush at this point. Any other software just adds to your belt. CBM: What other projects do you have coming up? Kelton Cram: I worked on 9 films that will be released this year. To list a few: Michael Bay's Teenage Mutant Ninja Turtles, Fox's Dawn of the Planet of the Apes and Wachowskis' Jupiter Ascending. Those are the ones I'm looking forward to seeing the most! The Amazing Spider-Man 2 will be directed by Marc Webb from a script written by Alex Kurtzman, Roberto Orci, Jeff Pinkner and James Vanderbilt. 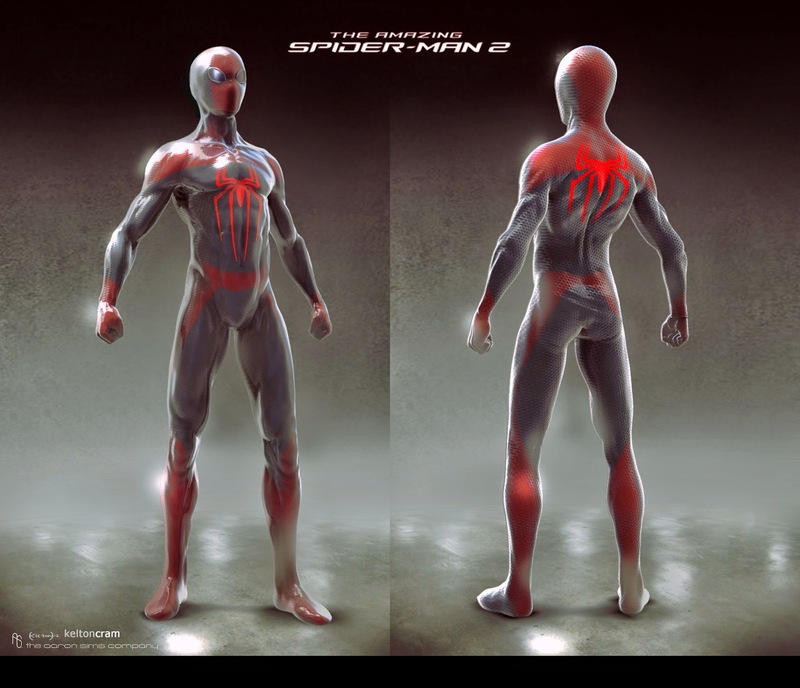 The film will star Andrew Garfield as Peter Parker/Spider-Man, Emma Stone as Gwen Stacy, Sally Field as Aunt May, Shailene Woodley as Mary Jane Watson, Paul Giamatti as Rhino, Jamie Foxx is Electro and Chris Cooper as Norman Osborn. 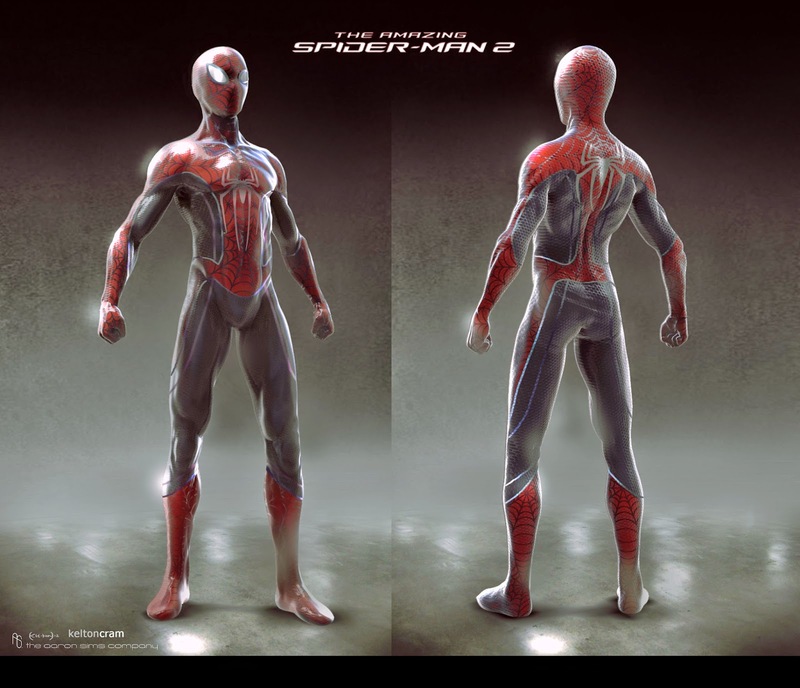 The Amazing Spider-Man sequel will swing into theaters May 2, 2014.